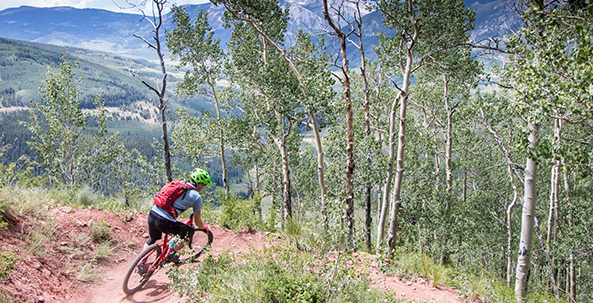 Crested Butte is home to some of the most beautiful and most fun mountain biking in Colorado, and the US as a whole. 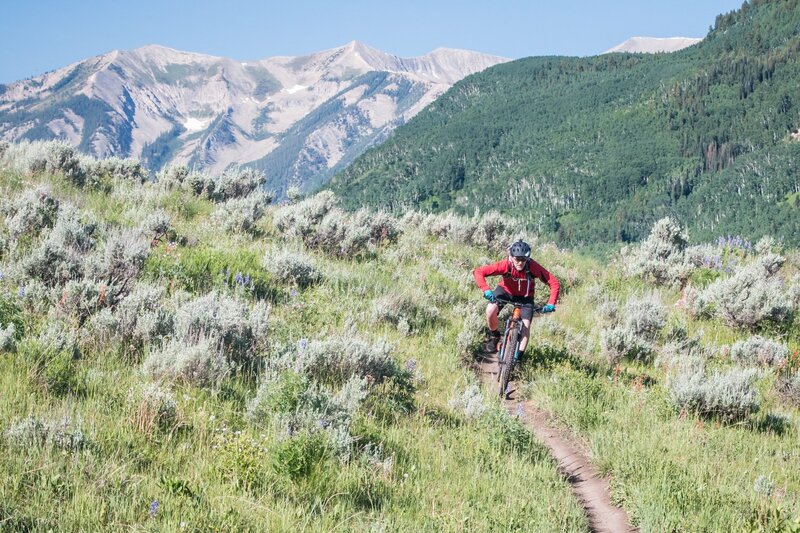 On this trip, you'll rip endless miles of gorgeous high-alpine singletrack, with a true "locals" mountain town as your home base..
Crested Butte is truly a mecca of mountain biking, and according to some it’s where it all began. Dating back to the 1970’s, the town of Crested Butte has been at the forefront of the sport, and today it’s at the top of everyone’s bucket list. 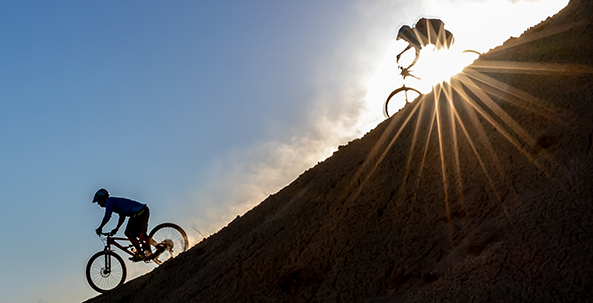 With hundreds of miles of trails, almost all accessible from town, there’s enough here to keep even the most avid mountain biker busy for weeks. One of the last true remaining “locals” towns in Colorado, Crested Butte exudes character and personality from the moment you pull up to the 4-way stop. There are no traffic lights and you’ll typically see more bikes in town than cars. Crested Butte sits at the intersection of several mountain valleys, which allows you to link trails together very easily. By doing this, you can do a simple 10-mile ride from downtown, or you can link together multiple trails to create an all-day 30 mile epic ride. 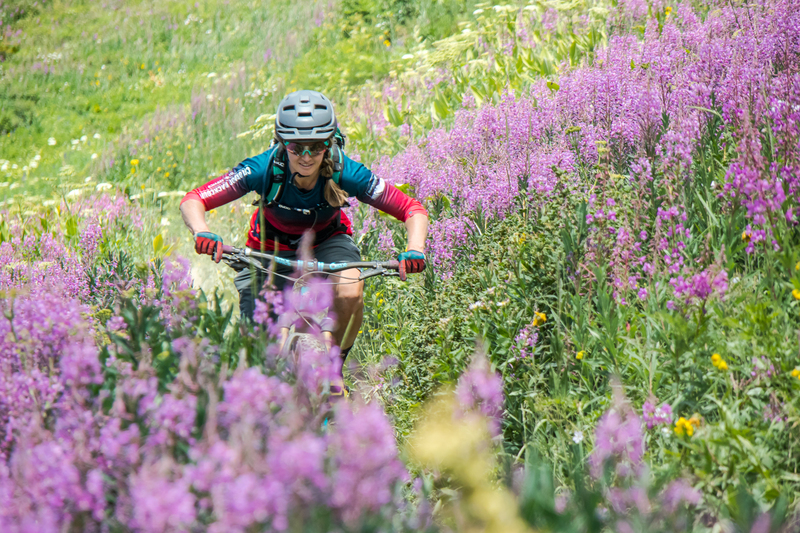 Our guided Crested Butte mountain bike trip package is designed to give you the most fun riding possible, taking advantage of as many great trails as your legs can handle. 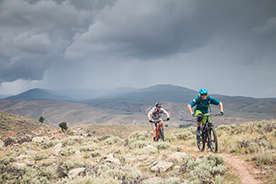 To make that possible, we've partnered with Chasing Epic Mountain Bike Adventures whose guides know this area well. 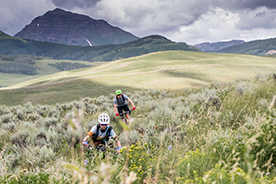 This ensures that you'll be able to maximize your mountain bike trip to Crested Butte - not worrying about logistics and navigation, just riding! We'll ride right from the hotel today on an "easier" 15 mile ride, heading up the Slate River Valley on a couple of the locals' favorites. Expect a few shorter 20-minute climbs to get your legs and lungs used to the altitude, and we'll get some sweet downhills through the aspens before ending up in town for tonight's welcome dinner and a post-ride beer. Ride: 15 miles, 1,800 feet climbing. Crested Butte is no stranger to big rides, and today we'll put together one of our favorites. On the south side of Mt. 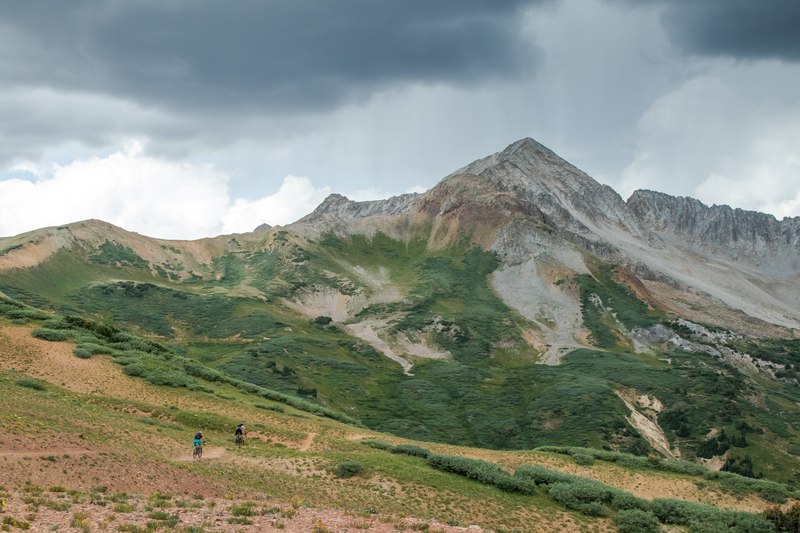 Crested Butte sits the East River Valley, and we'll head down there to combine two amazing trails. Expect one big climb, one "medium-sized" climb and two of the most amazing downhills you've ever ridden. The views on this ride are worth writing home over, but the singletrack is even better. Ride: 21 miles, 3,300 feet climbing. Epic ride alert! Today we're going to push your limits with climbing, high altitude riding, and some of the best descending you've experienced. We'll head south today to ride a big loop that will see us top out at 12,000 feet and cover two mountain passes. All that, plus over 12 MILES of downhill makes this one of the best rides in the area. You'll deserve that post ride beer this afternoon! Ride: 22 miles, 4,200 feet climbing. One of the most popular trails in Colorado is 401, and today we'll ride it... but we're going to do 403 first! By combining these two epics, we'll end on a high note: 14 miles with almost 4,000 feet of descending on the last day. Now that's how you do it in CB. 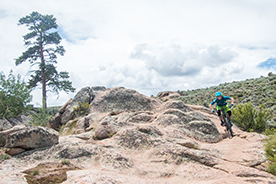 Explore the best mountain biking that Colorado has to offer, in a place known for mountain biking since the birth of the sport. The trails here are super unique, winding through picturesque mountain meadows and passes. 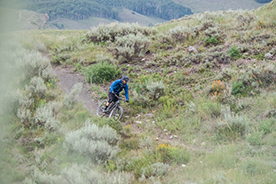 On this guided Crested Butte mountain bike trip we'll explore several world-class trail areas all within a short drive from town. High-end demo bikes are included in your trip package. If you prefer to bring your own bike, we can offer a $150 discount off your trip -- please make sure it's in tip-top shape before you arrive. If you're traveling through Denver, you can stop at the evo Denver bike shop for any last minute needs! As for gear and clothing, Crested Butte is located high in the Rocky Mountains. This means temperatures can range from very warm to very cold, be ready for both extremes on and off the trail. 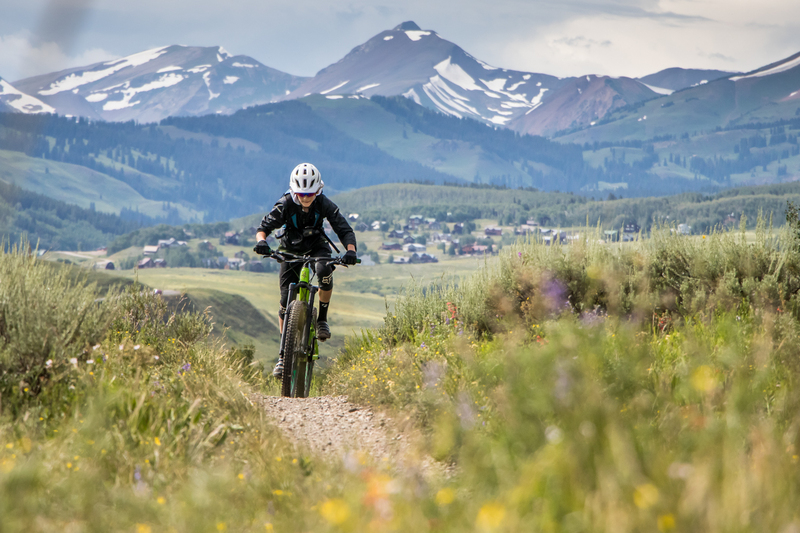 You will be responsible your own airfare for the trip, transfer to / from Crested Butte, as well as any costs associated with transferring your bicycle, if you opt to bring your own. Travel insurance is also not included, and is highly recommended to cover you if you are forced to cancel your trip, or if you need to cover medical assistance, emergency transport, and/or theft or accidental damage while traveling.